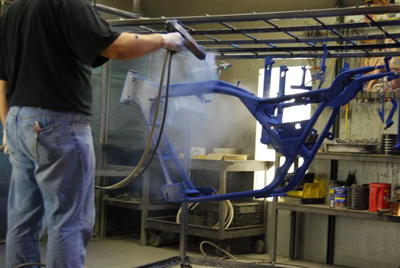 Powder coating is the technique of applying a dry powder paint to a clean, bare metal surface. The powder is applied using an electrostatic charge enabling the powder to adhere to the part. After the powder has been applied, the part is placed into an oven to cure the powder to a gell that hardens into a tough, durable finish. The basis of any good coating is preparation. 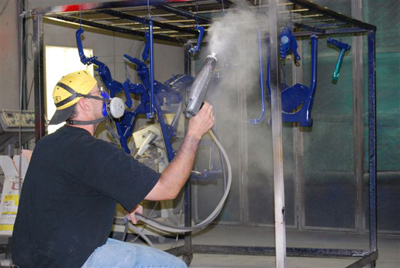 The vast majority of powder coating failures can be traced back to lack of prearation. 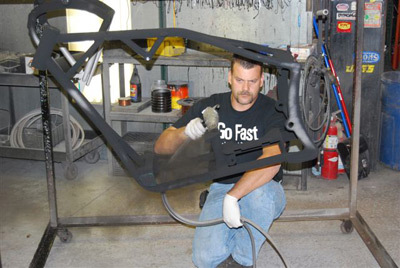 The general preparation for most metal is a degreesing, whether it be thermal or chemical, sandblast, cleaning, and finally the coating. At Q.C. Coatings our preparation is the key to our success. We treat every part like it was our own! The number one reason is durability. 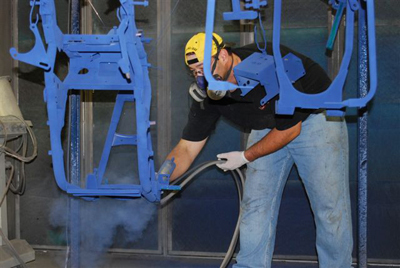 A powder coated part has a higher resistance to chemical and environmental stresses. 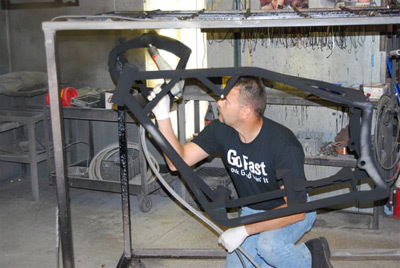 Powder coat is also very versatile and can be flexed without cracking or peeling like traditional paints. Dun Right Q.C. Coatings has hundreds of colors in stock and access to over 10,000 different colors and finishes, such as metallics, wrinkles, candies, transparents, veins, textures, epoxy, polyester, polyurethane. Once installed, maintaining the initial appearance of a powder coated part is a relativly simple matter. The soot and grime that builds up on surfaces from time to time should be washed down regularly. The coating should be washed with soapy water or a non abrasive detergent,and rinsed off with clean water.